On the Mediterranean island of Lemnos, hand-shaped clay lozenges were prescribed for a variety of conditions. 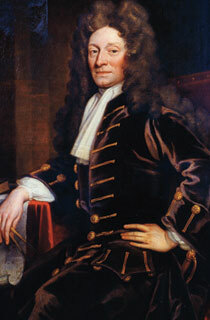 British polymath Sir Christopher Wren used a quill attached to a small bladder to inject dogs with opium, then experimented on humans. French physicians implanted pellets of morphine and other drugs beneath the skin with darning needles. British inventor William Brockedon received a patent for manufacturing pills by placing dry medicinal ingredients in a die and hammering the powder into a tablet. 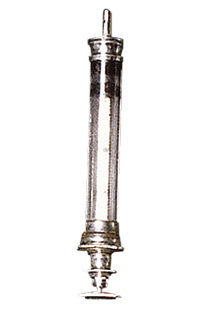 Edinburgh physician Alexander Wood published the first paper on subcutaneous injection of drugs using a hypodermic syringe with plungers made of leather or asbestos. Pharmacist Howard Press created the first time-release drug—Nitroglyn—for patients with angina. Multiple coatings on drug pellets placed in a capsule dissolved at different rates, keeping a concentration of the drug in the body longer. 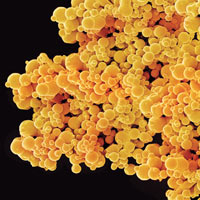 Tiny lipid bubbles called liposomes were first proposed as drug carriers; researchers surmised that they would slip more easily through tumors’ leaky vessels and into cancerous tissue to deliver their payload. The first transdermal patch contained an anti-motion-sickness drug that was absorbed by the skin directly into the circulation, bypassing the liver’s filter. Engineer Robert Langer developed a device using polymers that, once implanted in the brain, slowly released drugs to kill cancer cells without toxicity to the rest of the body. Birth-control device Norplant was introduced. Implanted under the skin, it consists of six silicone rubber tubes that release a continuous dose of the hormone levonorgestrel. © Collection CNRI / Phototake, Inc. 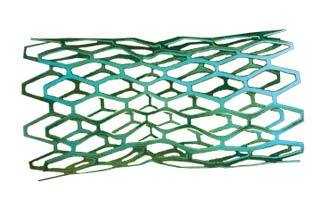 The first drug-eluting coronary stent, which slowly releases a medication to keep coronary arteries open after angioplasty, was approved by the FDA. From three-stage nanorockets to remote-controlled pills, today’s drug delivery marvels transport payloads where nothing else can go. The FDA and pharmaceutical companies have employed a number of methods to thwart counterfeiters—yet scammers seem to have no trouble keeping up.